Filling a gap in the literature, Delay Differential Evolutions Subjected to Nonlocal Initial Conditions reveals important results on ordinary differential equations (ODEs) and partial differential equations (PDEs). It presents very recent results relating to the existence, boundedness, regularity, and asymptotic behavior of global solutions for differential equations and inclusions, with or without delay, subjected to nonlocal implicit initial conditions. After preliminaries on nonlinear evolution equations governed by dissipative operators, the book gives a thorough study of the existence, uniqueness, and asymptotic behavior of global bounded solutions for differential equations with delay and local initial conditions. It then focuses on two important nonlocal cases: autonomous and quasi-autonomous. The authors next discuss sufficient conditions for the existence of almost periodic solutions, describe evolution systems with delay and nonlocal initial conditions, examine delay evolution inclusions, and extend some results to the multivalued case of reaction-diffusion systems. 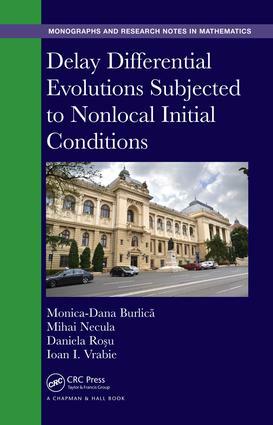 The book concludes with results on viability for nonlocal evolution inclusions.